The House of Commons’ Work and Pensions Select Committee has added its voice to those of wmen’s groups and other campaigners who have been saying for some time that single household payments of Universal Credit could put claimants living with domestic abuse at risk of harm. In its report on Universal Credit and domestic abuse, published last week, the Committee also said that the government must ensure its wider determination to tackle domestic abuse is reflected and embedded across all government departments, with policies that encourage equality and deter abuse. Accountability for domestic abuse obviously lies squarely with the perpetrator, the Committee said, but the Department for Work and Pensions (DWP) has a moral duty to ensure the benefit system does not in any way facilitate abuse. The Committee heard evidence that, for a minority of claimants, single household payments of Universal Credit can make it easier for perpetrators to abuse and control their victims. Single payments allow perpetrators to take charge of potentially the entire household budget, leaving survivors and their children dependent on the abusive partner for all of their basic needs. Apparently Universal Credit is intended to mirror the world of work, but as the Committee pointed out, no male nor female employees anywhere in the country are obliged to have their wages paid into the bank account of their partner. But the principle of Universal Credit is that it is a single payment made to a household for the benefit of everyone in that household. The Department for Work and Pensions, the Committe has said, must do more to ensure that payments are received fairly by everyone in a claimant household. The Committee also said that the Department for Work and Pensions must give serious consideration to determining policies that might offer some protection to survivors of abuse and deliver fairer payments to households. This includes splitting Universal Credit payment by default. The Scottish government is already making arrangements to introduce split payments by default, but its ability to do this depends on Westminter-run Department for Work and Pensions adapting Universal Credit’s systems to accommodate the Scottish government. The Committee recommends that the government engages quickly and positively with the Scottish Government, and seizes this as an opportunity to pilot different ways of splitting payments and then to reach an evidence-based conclusion on whether there is a case for splitting payments by default in the rest of the UK. Pending the outcome of split payment pilots in Scotland, the Committee says that where claimants have dependent children, the entire Universal Credit payment should be made to the main carer, by default. How they establish that will of course be another issue. Where alternative split payment requests are permitted, the Committee said, the higher proportion of the split payment should remain with the main carer except in exceptional circumstances. The Committee also recommends that improved safeguards and services be introduced for abuse survivors in Jobcentre Plus. To take just one example of why this is needed: for survivors of domestic abuse, the consequences of unsecure communications can be devastating. Like all claimants, survivors of abuse need to keep in regular contact with their Jobcentre Plus Work Coach and update them on their circumstances. But holes in the system mean doing so can put them at risk of further harm. The Department for Work and Pensions, the Committee said, must ensure it has every possible safeguard in place so as to protect vulnerable claimants, starting with a private room in every Job Centre, “without delay”, the Committee said, and privacy changes to the online journal claimants have to keep. The Committee also said that every Jobcentre Plus should be required to appoint a domestic abuse specialist, as for many survivors of domestic abuse, Universal Credit will be the lifeline out of abuse, the income that enables them to provide for themselves and their new household as they move on. 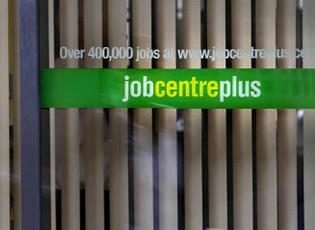 Jobcentre Plus also needs to work closely with expert services and the survivor to establish the claim and get the right support in place. Flaws in the current system obstruct lines of communication and prevent this from happening. An expert point of contact in Jobcentres to foster external links would ensure claimants get the – often vital – support they need. For as Frank Field MP, chair of the committee, said, ‘This is not the 1950s. Men and women work independently, pay taxes as individuals, and should each have an independent income. ‘Not only does UC’s single household payment bear no relation to the world of work, it is out of step with modern life and turns back the clock on decades of hard won equality for women. ‘The government must acknowledge the increased risk of harm to claimants living with domestic abuse it creates by breaching that basic principle, and take the necessary steps to reduce it’. Getting the right support and systems in place for Universal Credit claimants will not end domestic abuse, but it could play a vital role in minimising harm.